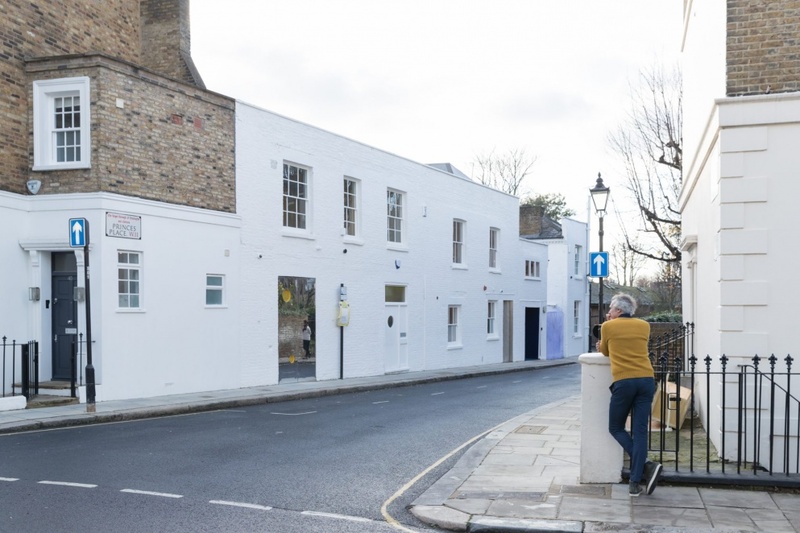 ​Second Home, founders of London’s most creative community for entrepreneurs and innovators, opens its second London location in Holland Park this month, January 2018. 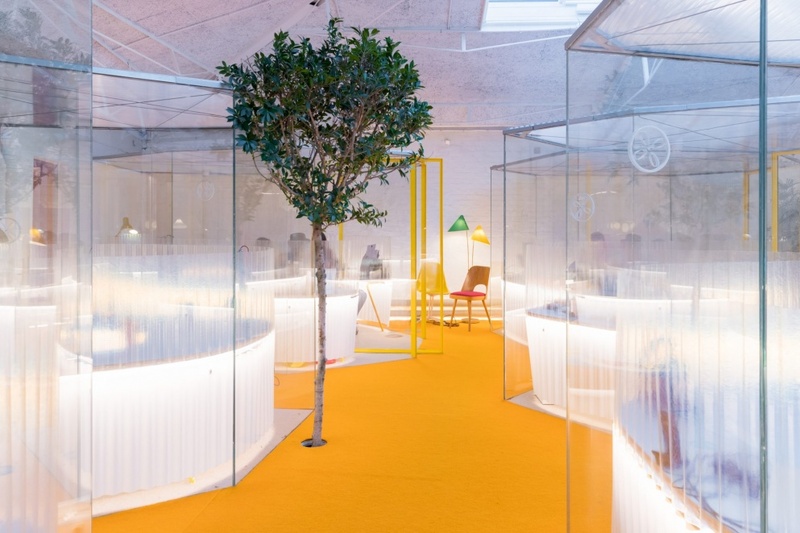 Designed by award-winning Spanish architects SelgasCano, Second Home Holland Park marks their fifth collaboration with Second Home, and a continued exploration into the fields of environmentally sustainable and biophilic design. 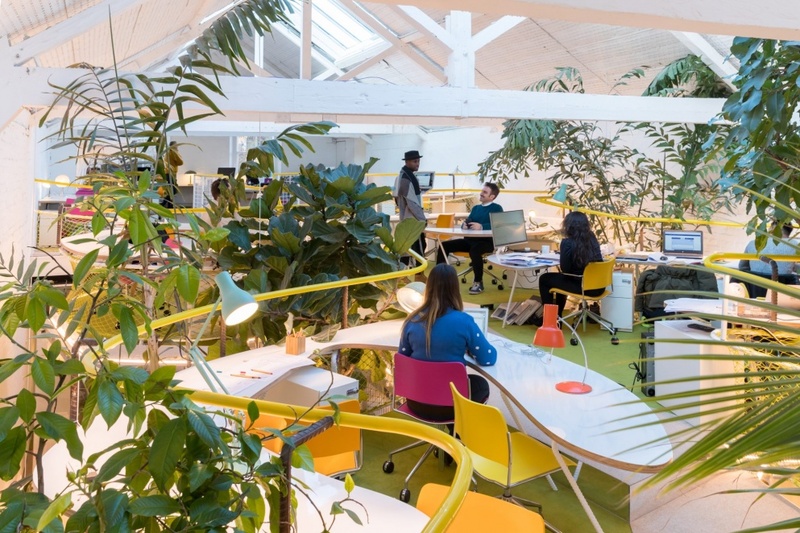 Filled with natural light, bright colours and plants – including trees growing directly out of the floor – the building is designed to support collaboration, creativity and job creation. The new designs respond to the building’s unique history. Spread over an area of 12,000 sq ft, it was the studio of British fashion photographer John Cowan in the 1960s, and it was where the legendary Italian director Michelangelo Antonioni filmed his cult classic, Blow Up, in 1966. In the 1980s, Richard Rogers’ architectural studio occupied the building. 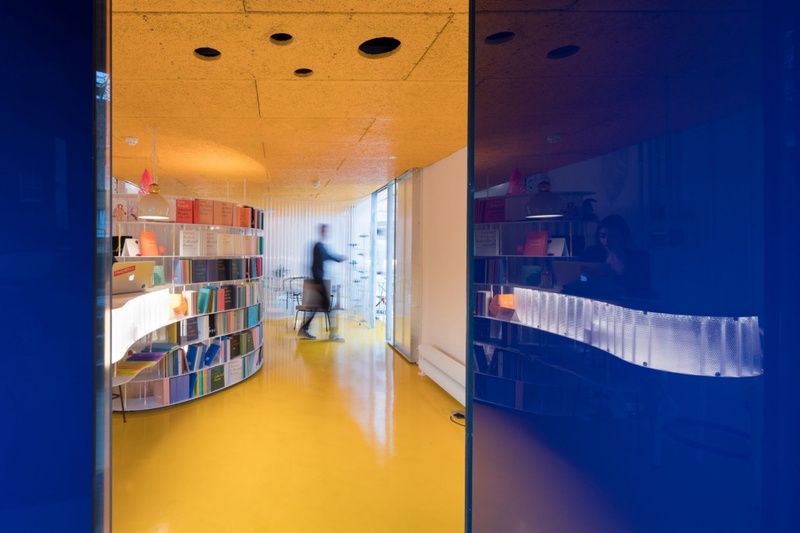 Original features of the building have been restored – including the walkways designed by Richard Rogers and a staircase designed by David Chipperfield. 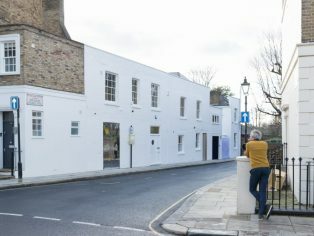 The workspaces also include a beautifully restored state of the art photography studio on the top floor of the building. Second Home Holland Park also houses the second Libreria bookshop – a small poetry bookshop created in partnership with Faber & Faber, the publisher’s first ever physical bookshop. The courtyard cafe will host poetry events presented in partnership with Faber & Faber, as well as other cultural partners. 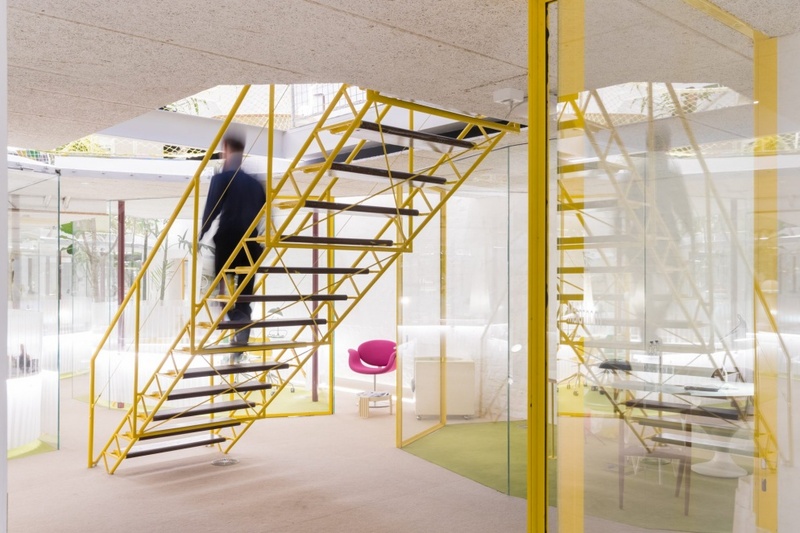 Second Home Holland Park continues its commitment to biophilic design. 35 trees have been planted in the space. 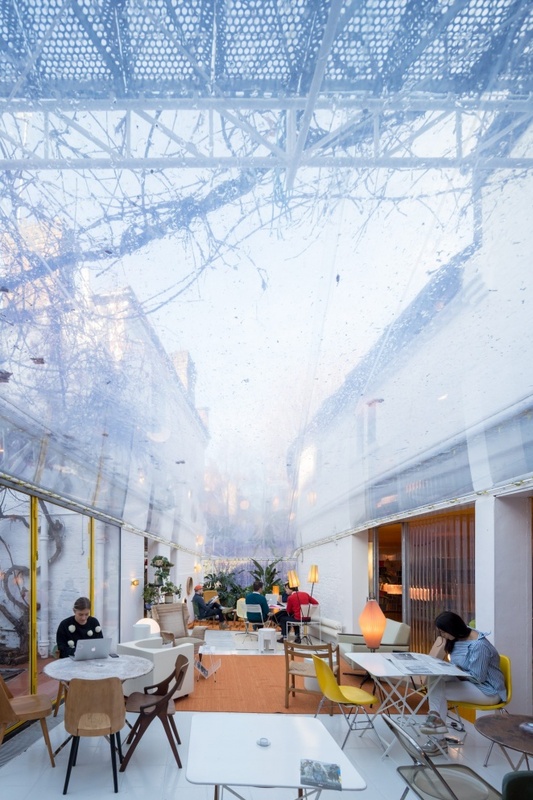 New roof surfaces bring in additional natural light and feature innovative greenhouse technologies deployed in an office setting for the first time, using soap bubbles as environmentally friendly and energy efficient insulation in the courtyard. 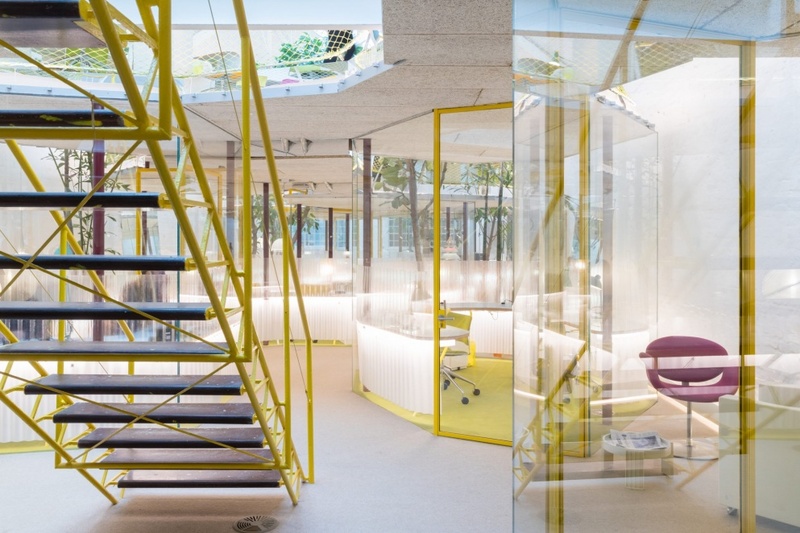 The studios at Second Home Holland Park are designed to house small teams of up to eight people, in contrast to the first London Second Home in Spitalfields, which contains studios for teams of up to 150 people, and recently expanded to a new rooftop space above the original building. 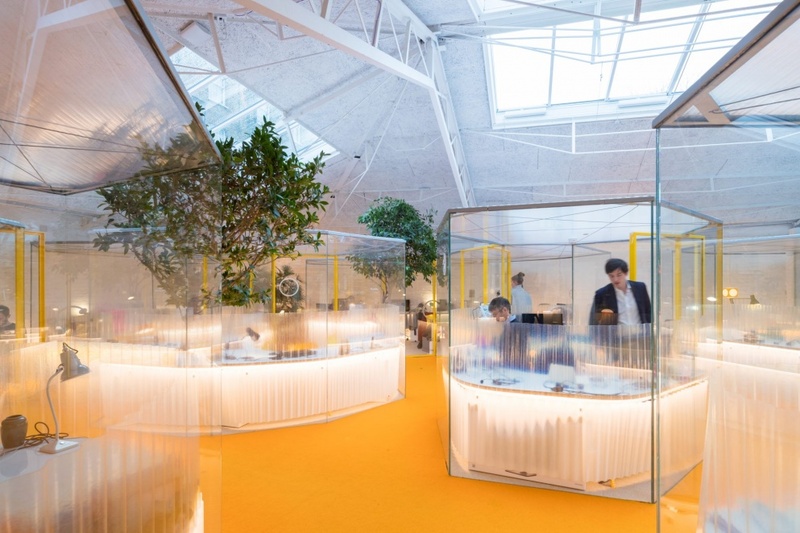 The community at Second Home Holland Park comprises dozens of different industries – from fashion and investment, to technology and agriculture. Teams include fashion pioneers WAH Nails, medical charity The David Nott Foundation, international development innovator Roo Rogers, BBC broadcaster Clemency Burton-Hill, and tech startup Marquee Arts TV (“Netflix for theatre”). “Everything is this building is about scale. It is small but with a strong personality, like in a circus; every act is as important as the other, no hierarchies, and only working all together do they create something unique. Scale due to the dimensions of the site. It is made up of five existing buildings which all together are only 600 sqm, and all of them different in periods and shapes. Scale due to the amount of history in the place. Blow Up, Michelangelo Antonioni’s movie, was filmed here. It was filmed in the studio of Vogue photographer John Cowan, and the actor David Hemmings was working in the spaces which you can still recognise in the movie. A few years after that, Richard Rogers had his studio here, his very first personal studio, after winning the competition for the Pompidou Centre. Stairs, skylights, a bridge and a vine that Richard Rogers himself planted in the courtyard are bits of his design added to the history of the buildings that we kept as a treasure of modern archaeology. We needed to expand the existing mezzanine and we opened some more skylights to give more natural light to the people and to the 35 real trees that are now adding more natural history to the place. We also needed to find a way to cover a large part of the courtyard, whilst keeping the vine alive. 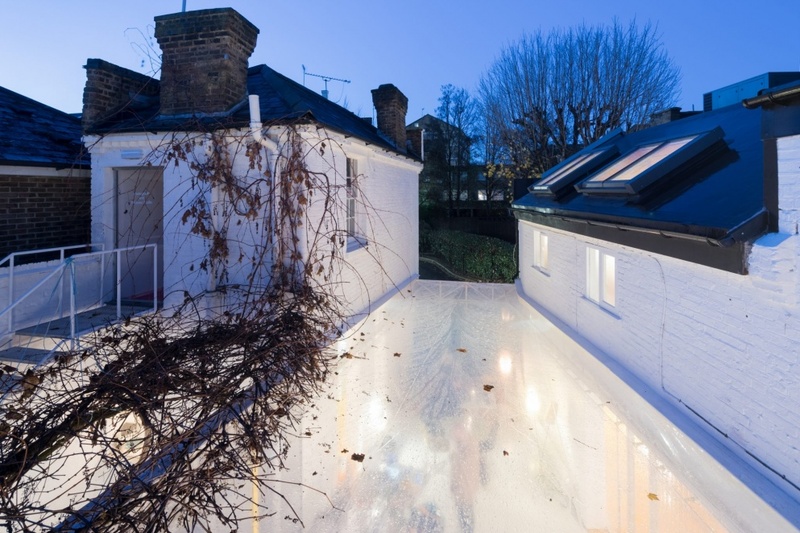 We used a clear double layer roof, and to insulate it we worked with environmental engineer Adam Ritchie, filling the gap between the layers with soap bubbles. It takes 20 minutes to fill and the effect can last a whole day.